Looking at the market trends made me think of the motto: Work smarter not harder. The increase in revenue for smartphones and other mobile phones can make doing business easier and well… more mobile. It has been interesting watching the markets over the last couple of months. The prices of PC’s (personal computers) have dropped, revenue of chips fluctuated and there have been debates about whether or not chips sales will rise of fall during the recession. PC sales have dropped by 16 percent, however, mini notebook sales have increased by 43 percent followed closely by the smartphone which increased its revenue by 37 percent. Apple sales earnings increased but AMD’s, a microchip maker, did not meet its estimated sales in July 23, 2009. The following week (July 31) however, saw TSMC chips rise by 88 percent due to new orders. UMC also reported better results in that week. Chipmakers rebounded mainly because there was a demand for semiconductors across all applications. For example, mobiles are able to use the same chips. Other applications are also adjusting their products to suit the smaller technologies. 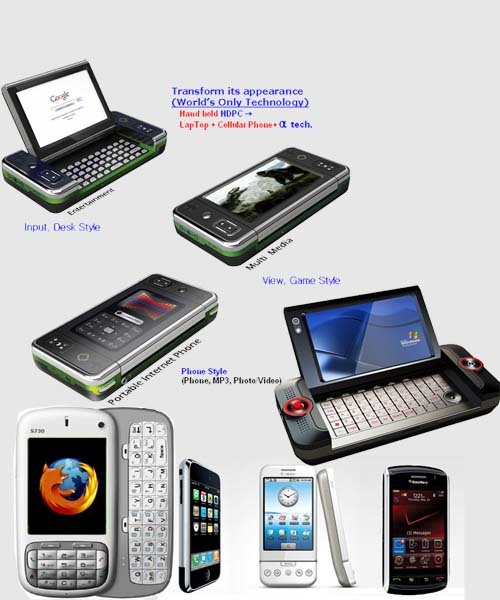 Software, such as Google’s Android, Palm’s Web OS and Apple OSX, has been created to work on Smartphones. Nokia and Microsoft have become an alliance in creating software on smartphones, which allow cellphones to double up as mini computers using Microsoft’s Office Mobile Suite. Mozilla is in the process of creating web browsers for mobile phones. Even software like Adobe is adjusting to run on Arm, which is the smaller much more efficient chip, on netbooks. Smartphones come in a range of different styles and functions, but they all share the fact that they are useful in business. Everyone finds it so much easier to quickly search for information on their mobile phones. Last night a gentleman phoned into a radio station to complain about the service delivery of the fire brigade. While driving he had spotted a burning car and had tried to get through to the fire services on several numbers. Finally he used the WAP on his mobile phone to search for the number. This not only means that you should go digital, but that you should also adapt to changing platforms. Businesses, especially in the information and information and technology sector, should adapt their content to suit mobiles. Create content to fit approximately smaller more square screens such as 176 x 180 pixels (for a smartphone), smaller file sizes to make it easier to download. How much easier will getting hold of clients, sending emails, looking for contacts numbers, opening up documents and other important documents, all while being on the move? I will be holding my breath to see if this rise in revenue will be sustained, but so far it is more effective to buy smaller more mobile equipment, that has the same functions as larger, less mobile technology. Therefore I see no reason not to invest in mobile technology and adjusting your content and the way you liaise with clients. TIP: Get to know and use not only phones, but other mini notebooks and netbooks. Depending on the type of product or service, use the popularity of mini’s to grow your business. Going mobile means going smaller and going smaller potentially means a larger audience, so adjust online ads and even your Adwords campaigns to suit mobile audiences. Especially in South Africa where 42 million people have mobiles but only have five million people access the internet via PC’s. Catch more on falling PC prices and Microsoft’s deal to counter this and the deal with chips in the following blogposts. True – but how many of those mobile phone owners have access to the mobile web phones and how many actually use it? That is a good point. Not all mobile phone owners use the web application, so its not a definite, but the possibility is available, moreso than fixed lines and desktop PCs.